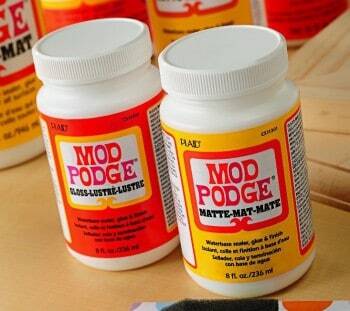 If you want to attempt a Mod Podge table project, check out this collection of 13 great ideas. They're all unique – which one will you try? 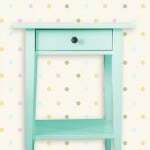 Scroll down to the bottom of the post to get a video of an IKEA lack makeover with Mod Podge! 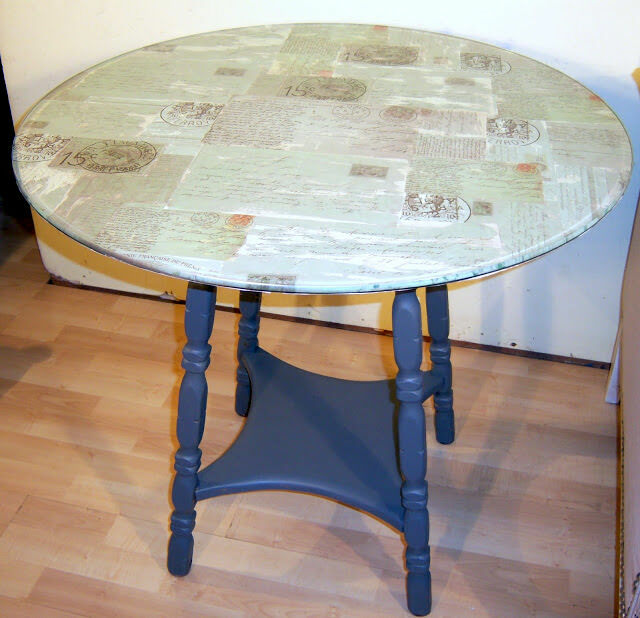 Cathie and Steve show you an easy way to DIY a table – you're going to love it. Have you ever Mod Podged a table? Re-doing furniture is pretty much my most favorite thing ever, and I don't get to do these projects nearly as much as I like. My apartment is small, but soon I'm going to be moving into a new space which will allow me to makeover as much furniture as I want! I'm going to start with a large desk table first, and I can't wait. 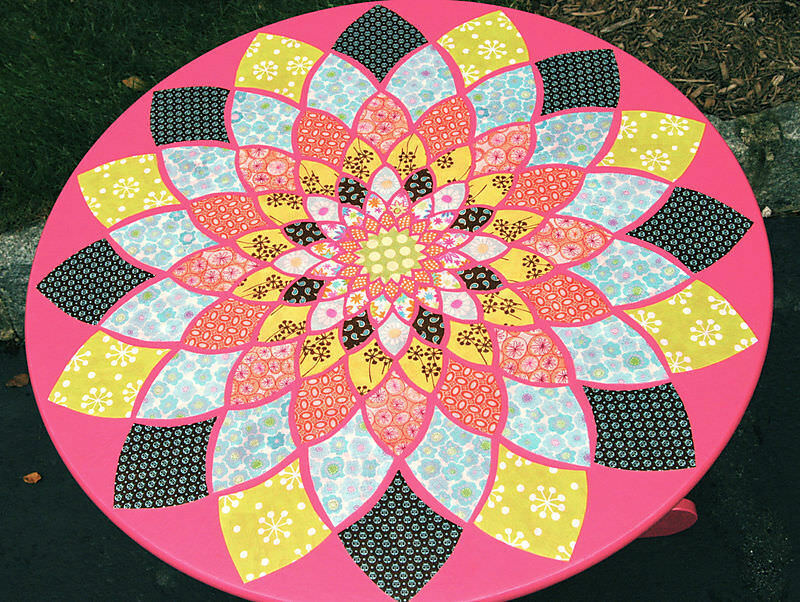 To get inspired, I put together this roundup of Mod Podge table projects. I'm not sure which one I'll use yet, but I'll let you know when I figure out what I'm doing. 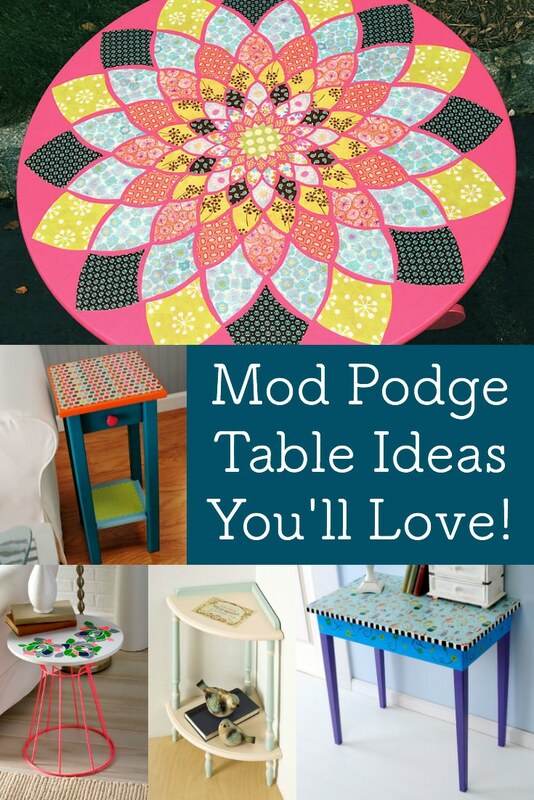 In the meantime, I think you should attempt a Mod Podge table too. You'll need ideas, so click through the slideshow below to see my picks. I think you'll like them! 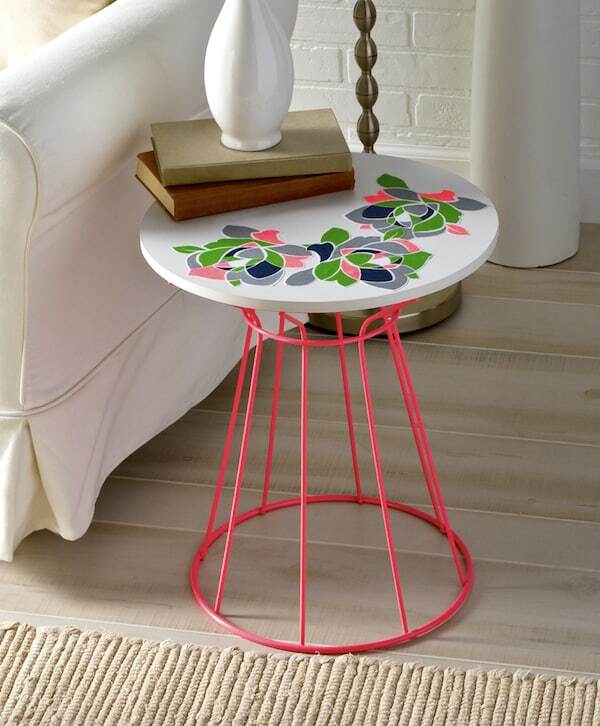 Karen used vintage graphics to decorate a glass tabletop and added it to an old side table. 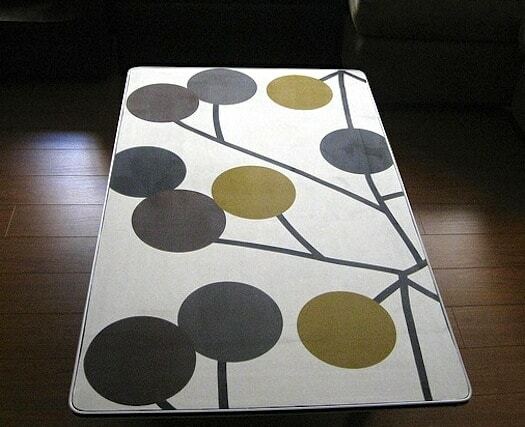 Jessica took an IKEA table and added a bold floral pattern to the top with fabric. 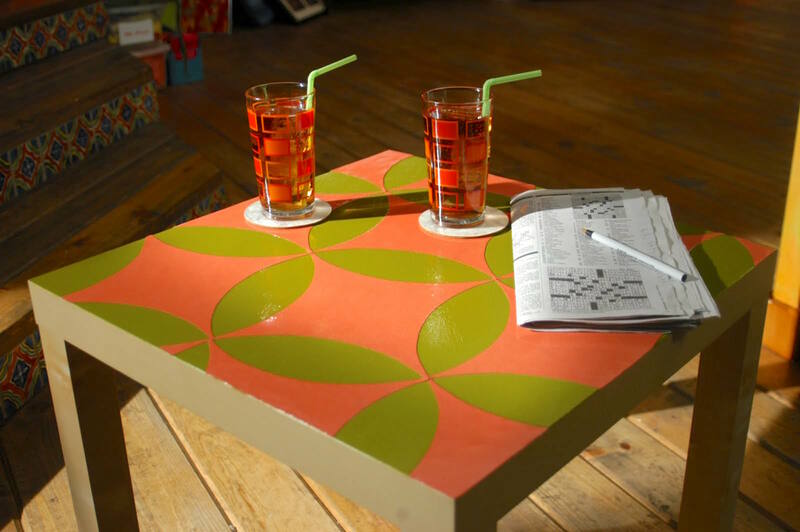 Learn how to build your own Mod Podge table from scratch, and then add manly graphics on top to finish. 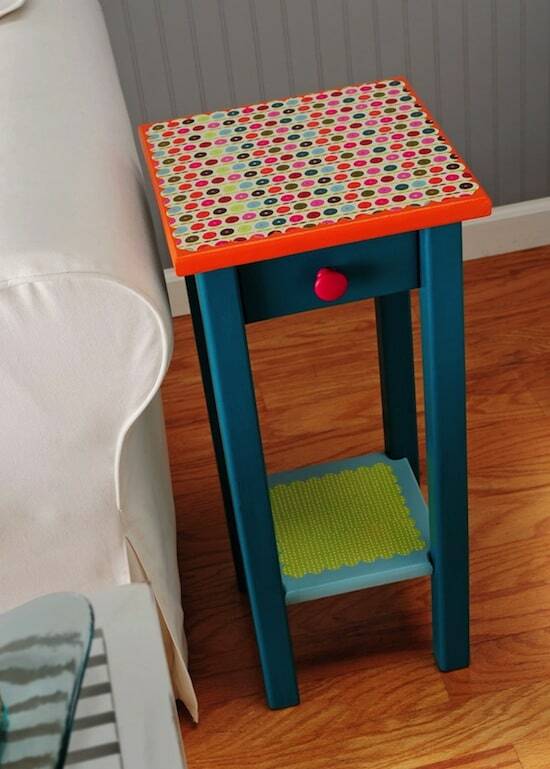 Cathie and Steve used paint and a large scale design to give a new look to the top of this IKEA end table. 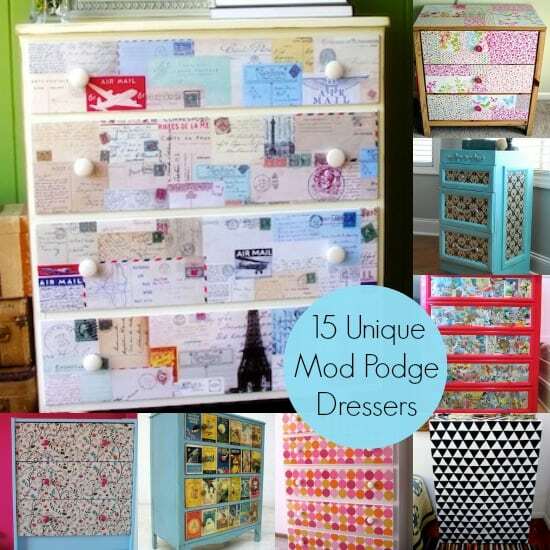 Use Mod Podge and a pillowcase (yes, a pillowcase!) 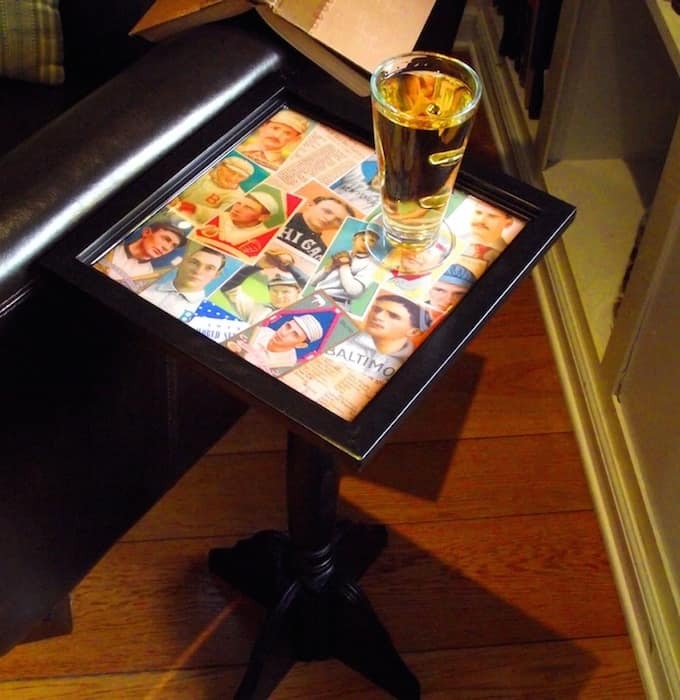 to decoupage a design onto a tabletop. This table revamp is really easy! 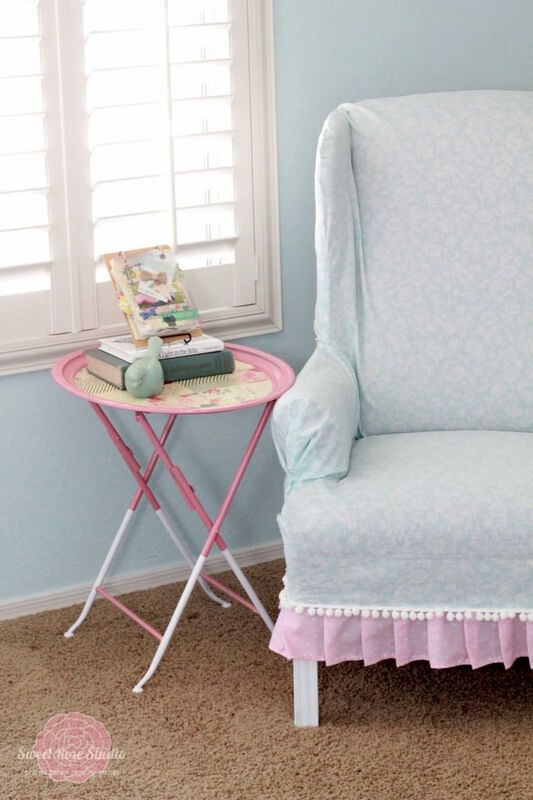 Lizzie gave her IKEA Lack table an upgrade with wallpaper, Mod Podge and nailhead trim. 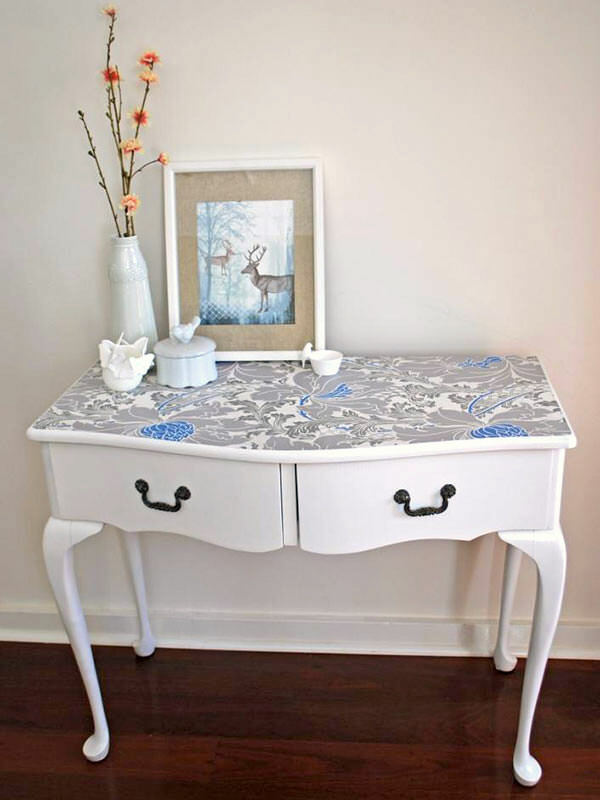 You can revamp a dressing table with paint and wallpaper – just use Mod Podge! 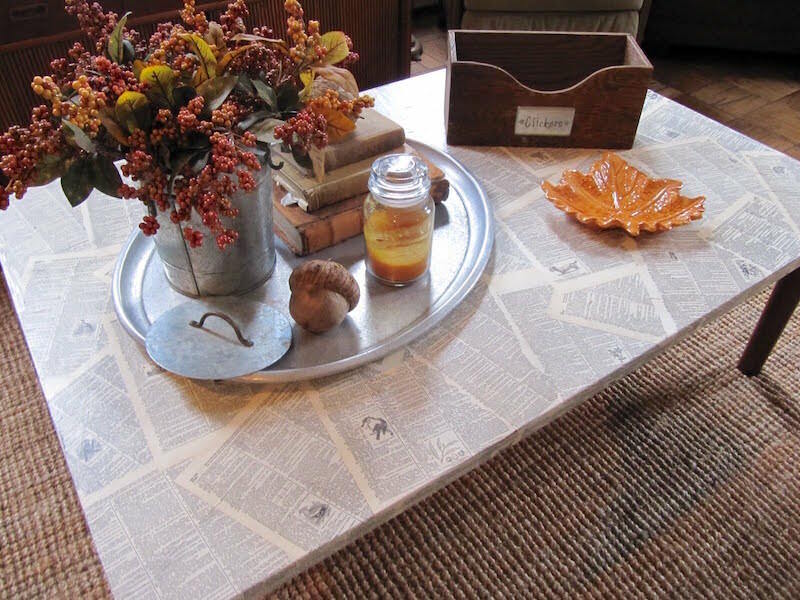 Learn how to make decoupage table with wrapping paper! It’s easy to do with Mod Podge Outdoor and this tutorial. Such a unique project. 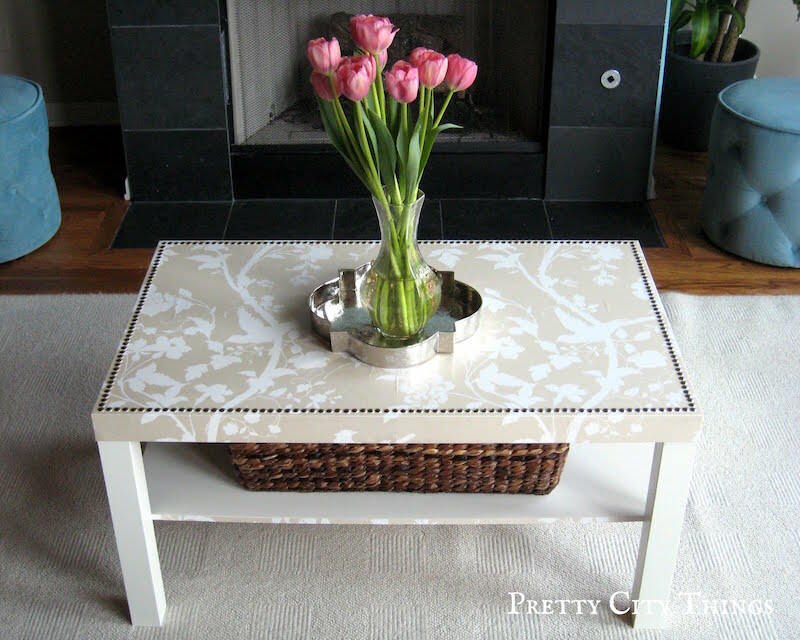 Karen shows you how easy it is to makeover a coffee table with Mod Podge – and it didn't take that long to do. 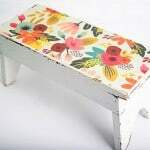 I loved revamping this old endtable using bright paint colors and scrapbook papers. 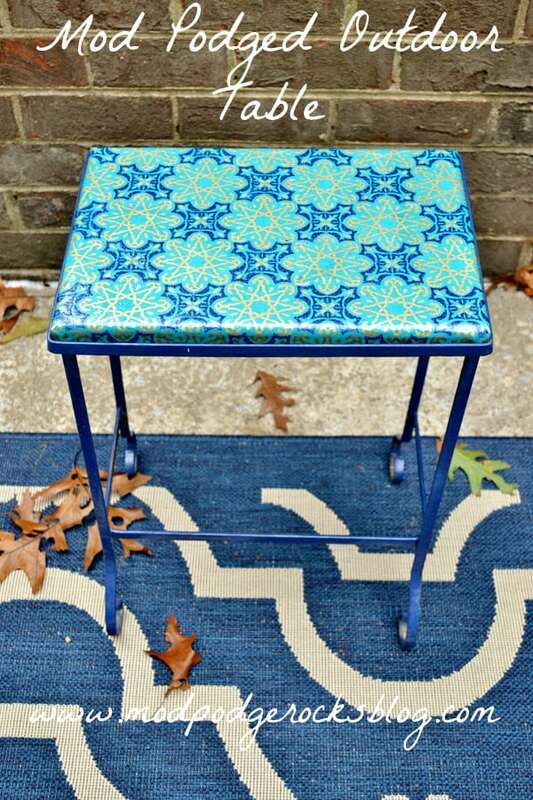 Any metal table can become a surface that you love with some spray paint and paper scraps. 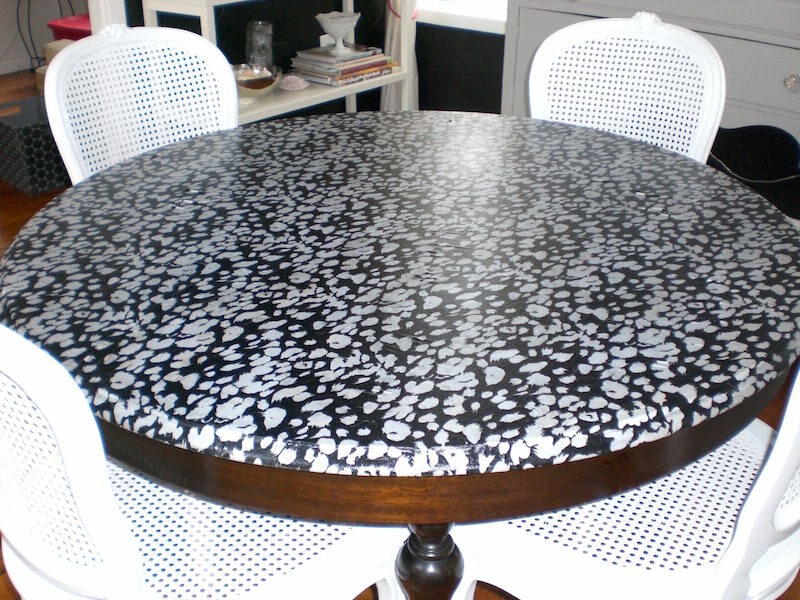 If you are worried that decoupage might not look nice enough for a dining room, check out this post.